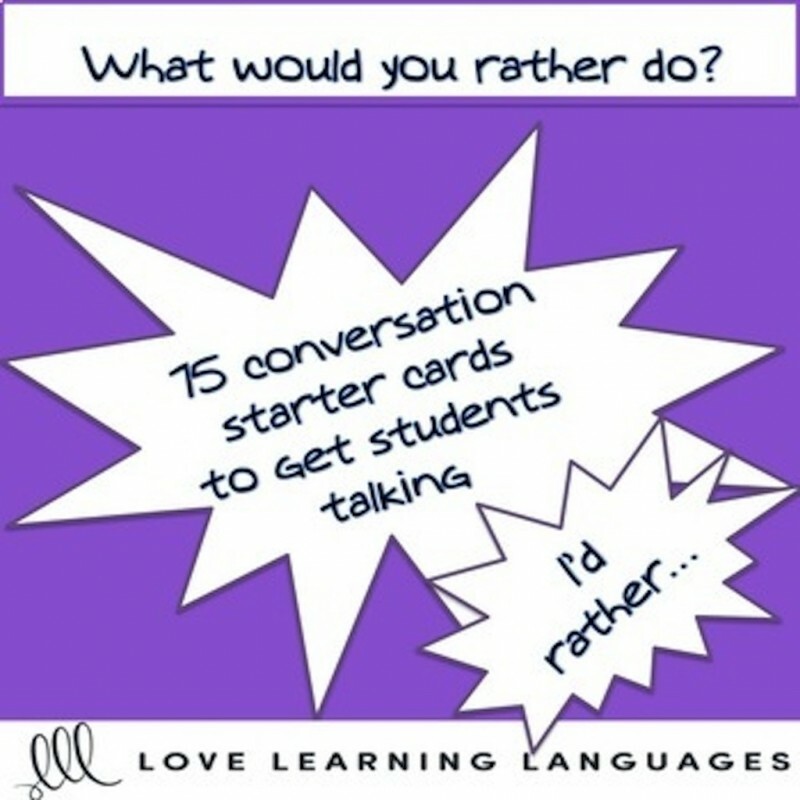 Use this set of I'D RATHER conversation prompt cards to get even your most timid students talking to each other and they are perfect to use as a back to school ice-breaker activity. These 75 question cards are terrific for discussion, journal writing prompts and vocabulary acquisition. 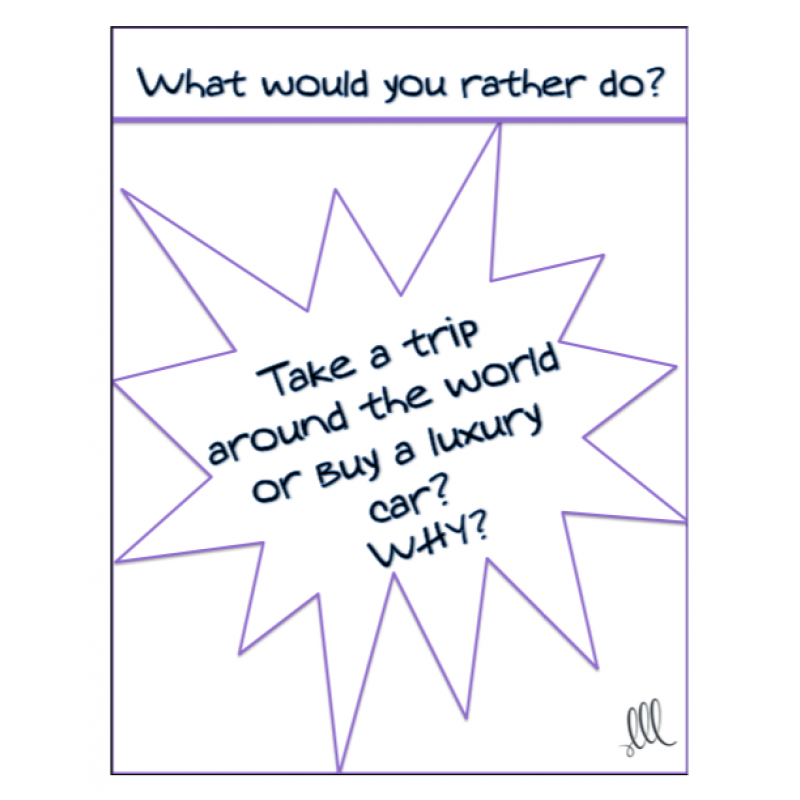 ➤ Print, laminate, cut out, punch holes and attach on a ring for small groups to ask and answer questions. ➤ Use as a warm-up speaking activity with a conversation partner. As students enter the classroom have them choose 2-3 cards from a box. 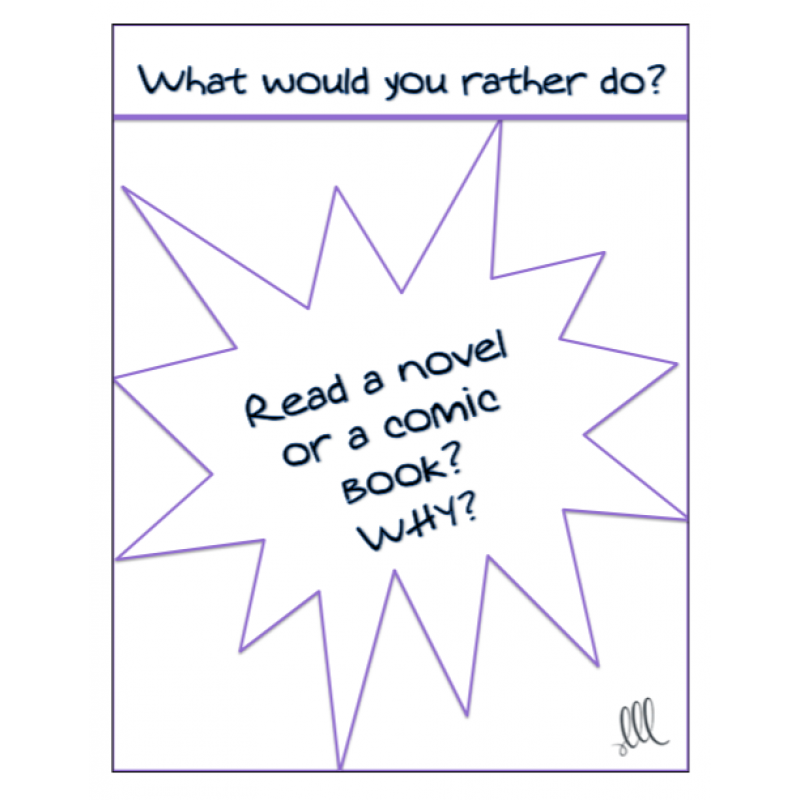 ➤ Students who finish their work earlier than others can choose a few of the cards and write out their answers including reasons for their preferences. ➤ Use as exit tickets. Give each student a card before the end of class and as they walk out of the room they tell the teacher their answer. ➤ Stations: Put students into groups and divide the cards amongst them. Have groups rotate to a new station as they finish the cards. 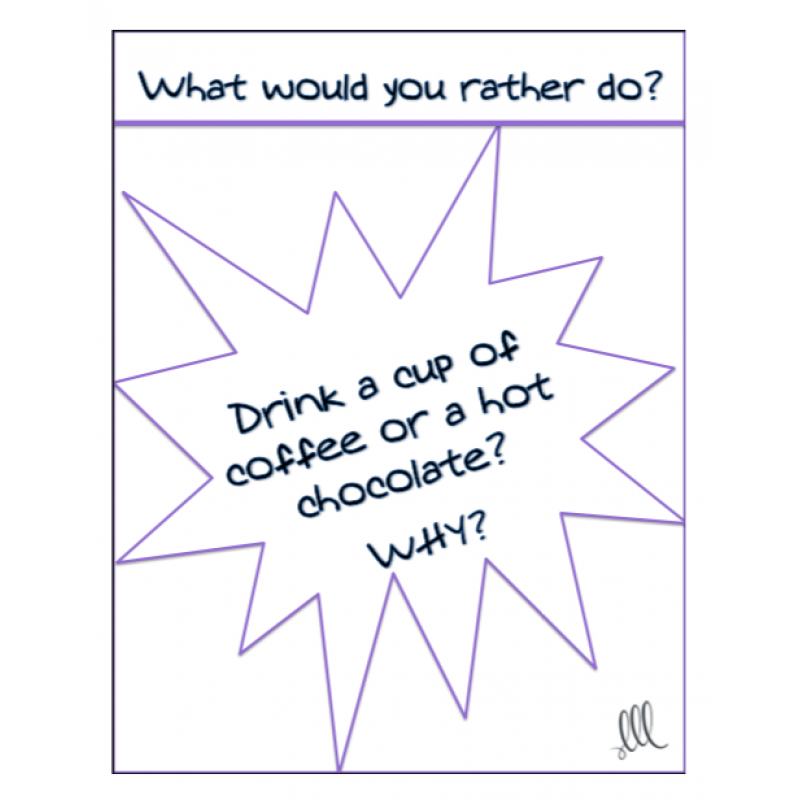 ➤ Scoot: Put one card on each desk in the classroom. Give each student a response sheet and set a timer to give them just enough time to answer the question. When the timer rings students move on to the next desk and the next question. ➤ Use the cards with board games. Students must answer a question in order to move. ➤ Use the cards as a getting to know you activity. ➤ Great resource for tutoring sessions.